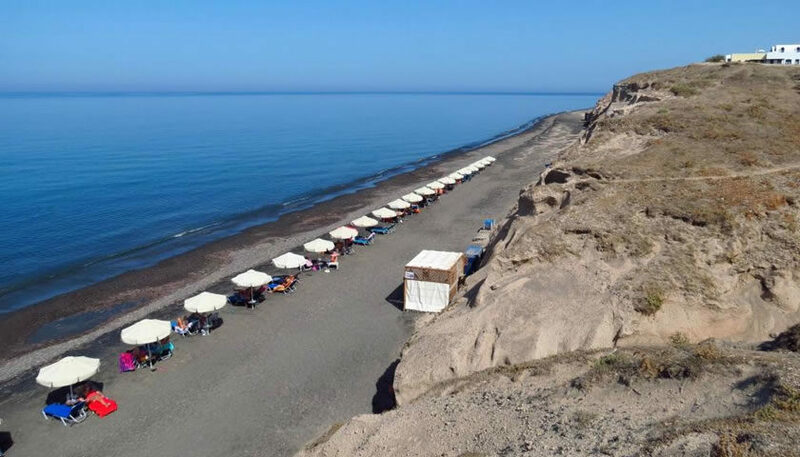 Baxedes is a quiet beach with black sand and pebbles close to Oia. 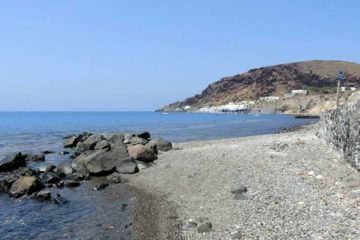 It is an extension of Paradeisos beach right after Koloumbos beach. It is not crowded even in high season. 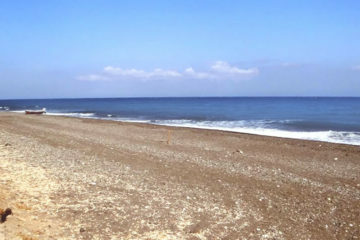 It is located on the north part of the island, so when the north wind is blowing there are strong waves and it is not suitable for swimming, but it is ideal for surfing. The water is shallow and if there is not strong north wind it is a good choice for families. 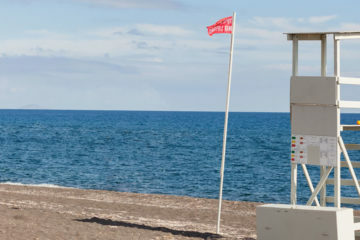 It is located approximately 4km from Oia and it is accessible by car. The parking is very easy close to the beach.